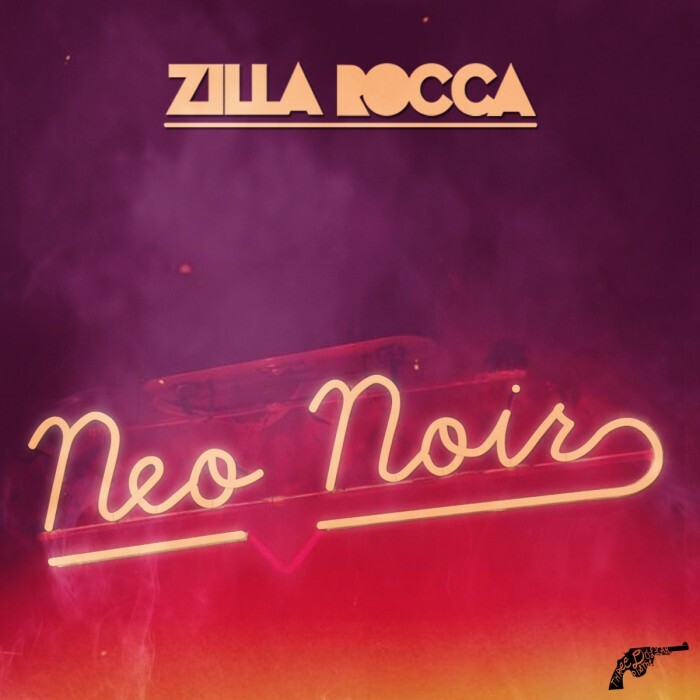 Double barrel shotguns fired and single barrel whisky got us spifflicated when Zilla Rocca came forth with Neo Noir. The kid is back and mixed in his visions with beats from greats like Mexicans With Guns, Blakroc and awesome emcees the like of Premrock, Curly Castro and Dewey Decibel. This is no palooka music, this is that heat you rock with the bearcat in the whip as you ride off into the red, orange and purple tinged skies. 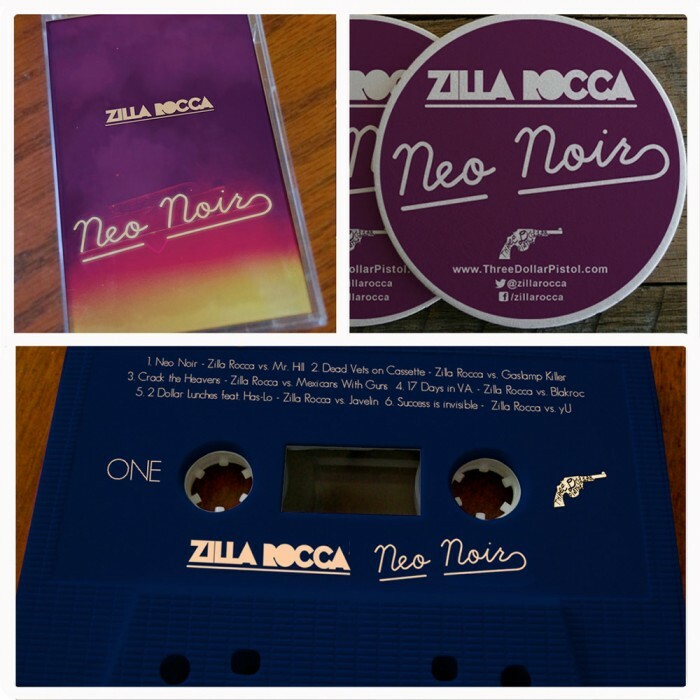 A fun album throughout as usual full of atmosphere and visions like Zilla always does, you can also get the limited cassette with a drink coaster which I'm about to get when I finish this. I always feel confident that most if not all you folks dig Zilla because... well you like good music right? Ok then, hop to it.